If you have recently discovered Law of Attraction money theories, I hope you are doing your affirmations regularly. There is no doubt these daily affirmations can bring about radical changes in your life, but actually these statements need reinforcement. Here is my top 10 tips to turn law of attraction money affirmations into cash in the bank. 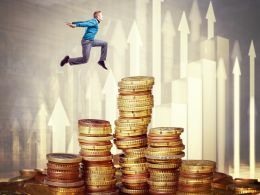 Many people discover law of attraction money articles when they are desperately searching for ways to avoid a cash crisis. They see the overwhelming evidence before them and start to spend time asking for money. The problem people often encounter is that they still feel poor. Perhaps they have learned not to expect money. Some people are even taught to want more money is greedy. These negative beliefs send confused messages to the universe. Examine how you feel about having money. Trust you deserve it and it will come. When law of attraction money energy flows, it is cyclical. What goes into the bank must come out again. Think about balance. In the same way it will not work to spend, spend, spend and expect money to flow back, in order to manifest money, there must be a flow out too. Focus on something the money is intended for, and when the money arrives, use it! As a struggling actor trying to make his mark, Jim Carey wrote himself a check. A massive $1million dollar check which he knew one day he would cash. He carried it with him every where he went. This knowledge and trust allowed him to manifest his future. According to celebritynetworth.com, Jim Carey is now worth a massive $150 million! No matter how bad life becomes, there are always things to be grateful for. When we focus on these, the worries start to subside. As we focus on how grateful we are for our blessings, more flow to us. Make it obligatory to write down blessings and happy occurrences each day, and read your gratitude journal regularly. Keep blessings at the forefront of your mind. 5) Stop looking at price tags! My mum always used to tell me if you have to look at the price tag, you know you can’t afford it! Feel confident in looking at whatever you want, like fine jewellery, fast cars, expensive restaurants etc.. Appreciate things for their beauty and value their worth. Not ready to buy yet? Tell yourself you will keep on looking until you find a finer quality one. We all want more money, better health and romance, but my version of it is different to yours. 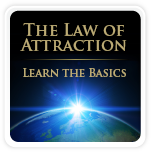 Hone your law of attraction money magnet to a sharp high definition. Picture it in glorious technicolor. Design your life in infinite detail and commit it to paper. Visualization is by far the most effective method. Make a story board, or a wish list if you like. If you want that expensive necklace, or that fabulous holiday, cut out pictures and stick them all. Create a picture of your future which is clear and bright. Law of attraction money energy will surely start to flow. The secret which people often overlook about law of attraction money power, is to create the vision as if it were already true. The key to this lies in your sleep, or even hypnosis. 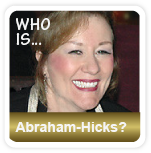 At rest, our subconscious takes over the steering wheel and the messages are far more potent. Take some time before you go to bed to visualize yourself living your new life. Think about what all that money is for. See yourself in the expensive restaurant, drinking the fine wine, wearing diamonds, or whatever is relevant. Create a successful videotape for your mind to run over and over through the night. Root through your drawers and find a copy of last years earnings form. White out the yearly sum and put in this years desired one. Be careful here, remember your limitations here are defined by your expectations. If you only put a small figure, that is what you are likely to achieve. If you put one too large, and you don’t really believe that you are capable of doing it, then you won’t get it. See my point? Find your magic figure and commit to it. Each person who tells you achievement is not a possibility, dissolves a little of your power. Seek out successful people who will reinforce your own beliefs. Energy will flow faster when you take inspired action. Turn off your computer now, and start looking for opportunities to make your law of attraction money manifest!